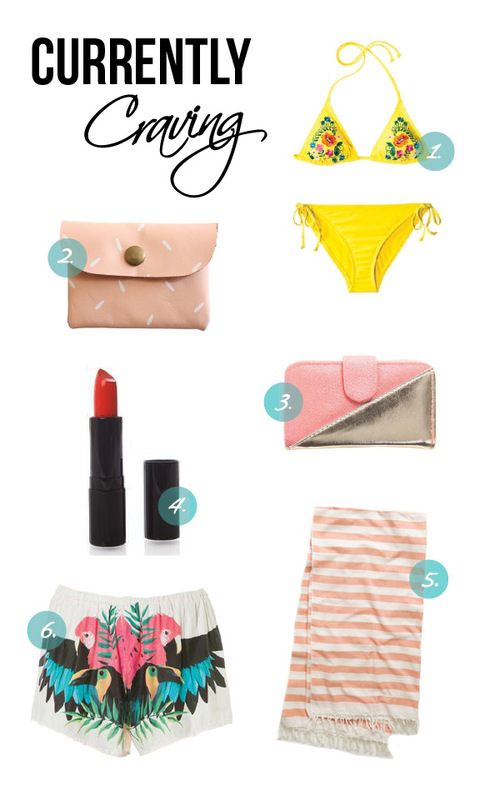 Target Bathing Suit: I'm heading to Cali this weekend and have been on the search for a basic but fun swim suit! I found this one at target and love! The yellow is just what I need for the summer and can be mix and matched easily! Falcon Wright Card Holder: How adorable is this card holder? There are an abundance of prints to chose from, and it doesn't break the bank! One of my top picks this week! Cotton On Iphone/ Wallet Case: Since my phone is always on me, I've been looking for a compact case that will keep all my important items in one small place. This wallet case is now on sale for $6! Can't really beat that price! Muz Makeup Marilyn Lipstick: I am so excited to feature this pick! 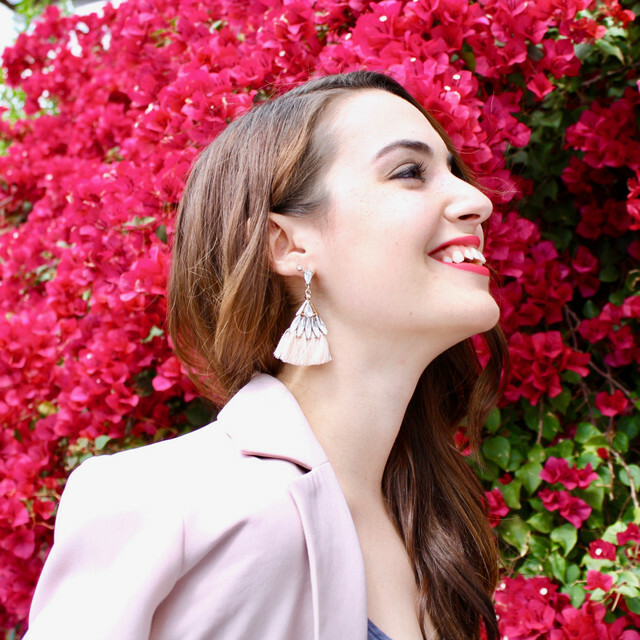 Local Arizona Makeup Artist Jessica Fierro has just launched her own makeup line Muz Makeup! My good friend & stylist Jessica Hunter got me hooked on this lip color, I know all of my readers will love it to! Anthropologie Beach Towel: With summer in full swing, it is time to invest in an adorable beach towel for the many days I will be spending at the pool! Tropico Shorts: I have been in love with these shorts when I first saw them on LuLu's Instagram. Now, I know they aren't everyones cup of tea, but I can't get over the charm and quirkiness of them! Perfect statement pair of shorts!